Join All She Cooks Recipe Group on Facebook for more great recipes every day! Are you a fan of soup? Or strawberries? 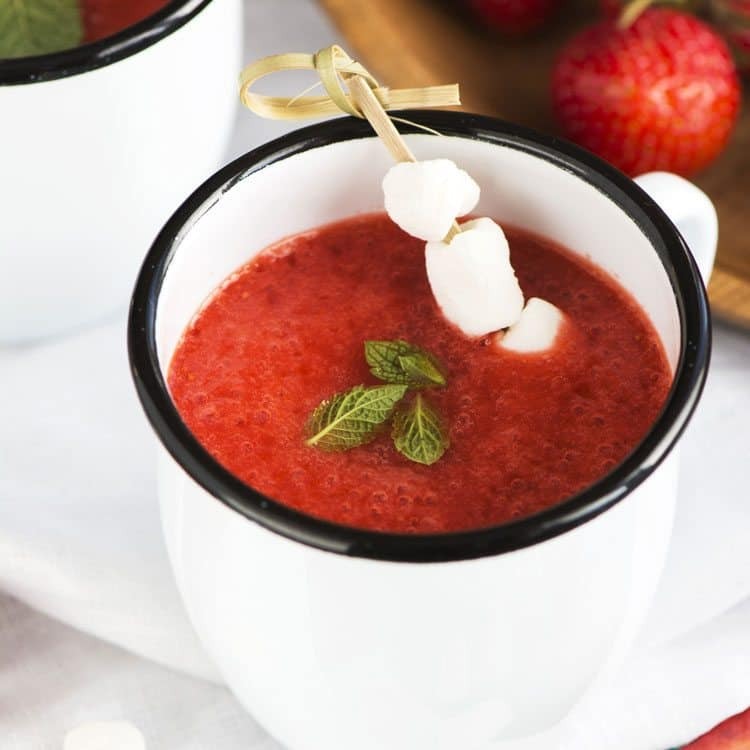 Then you will absolutely LOVE this sweet Strawberry Soup that is perfect for sharing with your sweetie for a romantic dinner or dishing up for a girls’ night for a little something special. 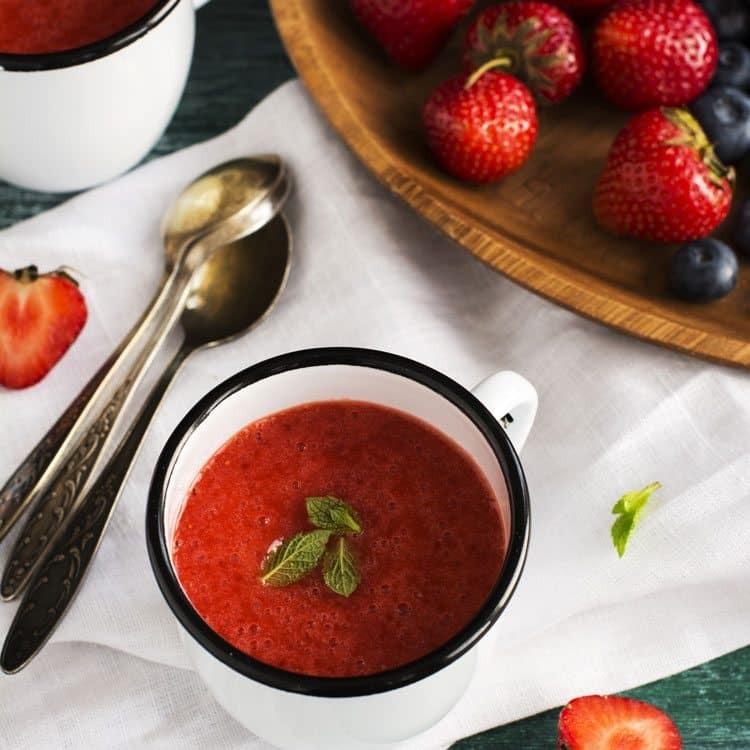 Strawberries are a healthy ingredient that you’d be wise to snack on. 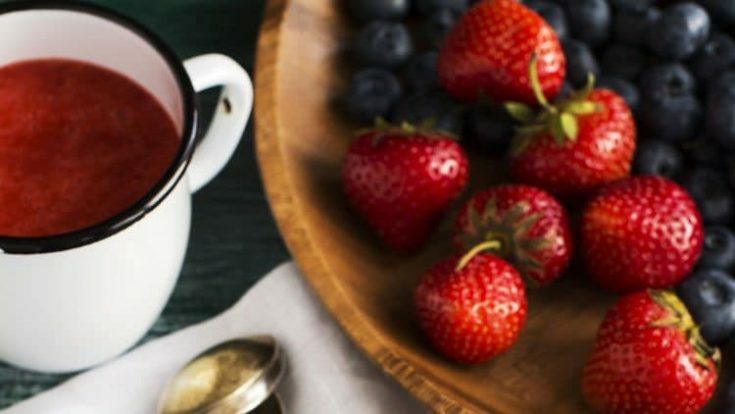 According to Medical News Today, there are many reasons to eat a handful of these tasty berries. Strawberries are rich in the essential nutrients vitamin C, potassium, folic acid, and fiber. One cup of fresh strawberries contains 160 percent of the daily recommended quantity of vitamin C, for only 50 calories. Which is exactly why you should try a few of these appetizing strawberry recipes. And perhaps try one of these while you are at it: Strawberry Crepes, Strawberry Mojito Float, Cool Strawberry Whipped Dessert. We love eating strawberries plain, with whipped topping, smothering pancakes, and dipped in chocolate. There are so many ways to eat strawberries; it doesn’t even require a lot of creativity. However, if you get the chance go to a strawberry u-pick farm when strawberries are fresh in season for the ripest and freshest tasting strawberries you will ever experience. This is especially true for organic u-pick farms. There is really no way to completely describe this taste. You will absolutely love it. Place the strawberries into the blender. Place the mint leaves in with the strawberries. Pour in the wine, lemon juice, honey and brandy. Strain the soup to remove any seeds. Pour into a bowl, cover and refrigerate at least 4 hours before serving. Use this soup as the starter to your romantic Valentine dinner. Garnish with a few strawberry slices and a mint leaf. Jessica McCoy is the publisher and primary editor behind All She Cooks. She enjoys recipe development, food photography, as well as food and travel writing. You can find Jessica on Facebook, Pinterest, Twitter, and Google +.